If you build models long enough, there will come a time when you have a part you need to make copies of, or a shape that's perfect for your next scratchbuild - except that it's made of something that no glue or paint known to modern science will stick to. OK, you think, I'll cast this in resin. You go online, look at a few how-to articles, order some supplies, and dive in -- because how hard could it be, right? And then, when your first casts go horribly wrong, you discover that there is a definite learning curve - and it can be time-consuming, frustrating, and expensive. Enter Karl Juelch and "Secrets of Mold Making & Resin Casting". This is a revised and updated "2nd edition" of the book published in 1998. The information contained within is the result of years of experience and experimentation with RTV silicone "rubber" molds and polyurethane casting resins. 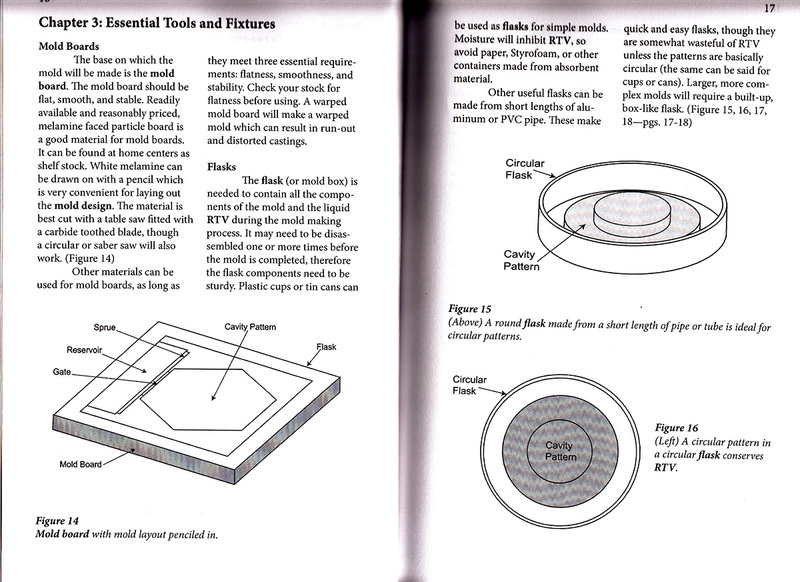 It's not intended as an encyclopedia of mold making and casting techniques (that would be a much, much larger book), but rather a guide to the materials and methods most suited to scale model builders. A resource guide is provided as an appendix. The key to getting good casts is making good molds, and this is detailed in Part One. 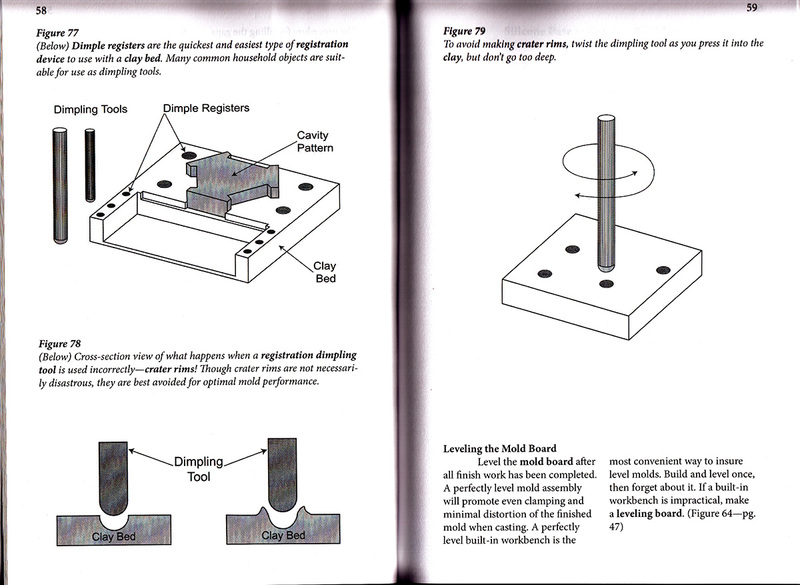 Initial chapters cover necessary materials and tools, different mold types, and how to design your mold. Following this are discussions of increasingly complex techniques and how to use your RTV. 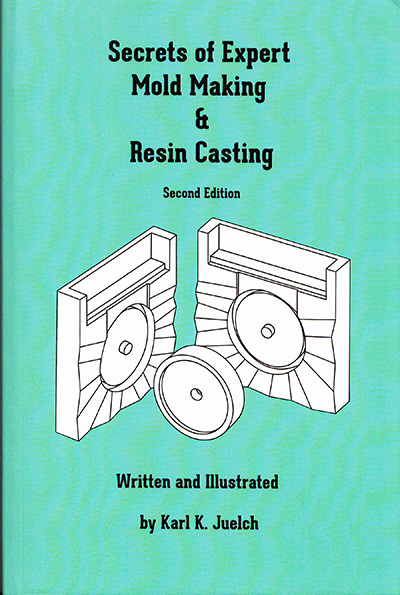 Part Two discusses the actual casting process, from methods and materials through curing the resin. Part Three details how to make your own vacuum chamber, pressure chamber, and pressure chamber oven. The Appendix provides a resource guide and a short list of places to get materials and supplies. The chapters are dense with information, and while the writing is technical it is clear and easy to follow. Each topic is extensively illustrated with annotated diagrams and drawings done by the author. This is not a "tips-and-tricks" book aimed at the casual reader (especially Part Three), but rather a reference book that will reward multiple readings. To get the most from it, you will have to practice the techniques - just like doing math homework! I have read this book through several times now, and each time I've learned a little bit more. Even if you have no desire to be a professional caster, this is an excellent reference. So, do yourself a favor and flatten that learning curve - get this book. Many thanks to Karl Juelch for providing the review copy. Manufacturers and retailers, interested in getting your wares reviewed and publicized on a site averaging 6000+ readers a day? Contact us! This page copyright © 2013 Starship Modeler. First posted on 15 September 2014.